East Grinstead, UK: A Sussex-based English tutor, Grant Hudson, has set up an internet service to advise students on essay writing in an attempt to combat plagiarism. 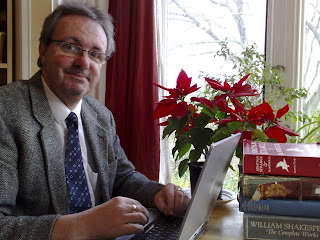 "Plagiarism has become a plague and one which the teaching profession seems powerless to control [where] writing an essay was no more than an exercise in cut and paste," writes Peter Williams, editor of Information World Review (Europe's leading newspaper for the information industry) in a recent IWR blog. The Inner Circle Writers' Group offers several different services to help students with school and university English essays so that they will be able to avoid the impulse to cheat and buy essays from unscrupulous companies. "Services are available now whereby someone will write an essay for a school or university student on demand," Mr. Hudson said. "All the student has to do is send in an essay question and someone else does all the work. They charge a lot of money, but some students pay because they worry about their own abilities to reach certain grades. 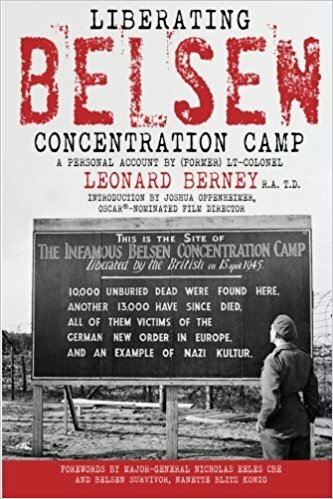 This is against any school's or university's regulations, and a student who makes use of such a service is risking expulsion." "As well as being unethical, expensive and lazy, having someone else actually write your essay for you is pointless, as the education you're receiving serves no purpose." Though plagiarism has become much easier with the rise of the World Wide Web, the official examining boards in England have, until recently, only been able to discover less than one percent of students actually copying essays directly from other sources. Now, new software enables universities, in particular, to track down the originals and so catch the plagiarist. "The problem is that new companies, often based overseas, have found a way around this by offering to write the essay from scratch for the student, which is very difficult to trace," says Mr. Hudson, who also works as the Head of the English Department at Greenfields School in Forest Row, East Sussex. 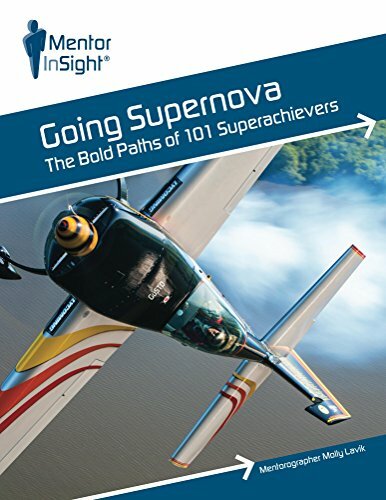 "I decided to tackle this by setting up the Inner Circle Writers' Group which helps with essay coaching, teaching students by e-mail how to write better essays for much less than these other companies charge. Hopefully, students will turn to services like mine and learn to improve their own skills rather than panicking and seeking what seems like an easy way out which could lead to disaster and a wasted education." The Inner Circle Writers' Group is one of the UK's most effective and ethical groups in providing tailor-made essay reviews, research material, business letters, proofreading, on-line tutoring and much more to customers, worldwide. The Inner Circle Writers' Group does not do the work for their clients, but it does make their work as easy and as painless as possible. 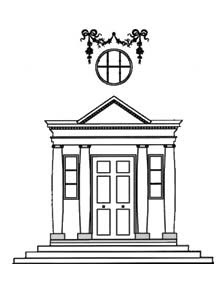 East Grinstead: Artists Brian King, from London, and Andrew Dixon from Berkhamsted, Herts will be exhibiting their paintings in the beautiful wood-panelled room at Wealden House, East Grinstead for 4 weeks from Monday 17th March 2008. 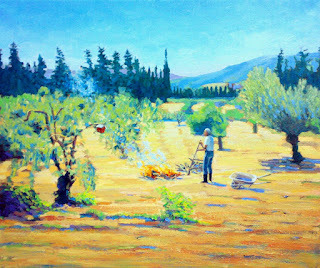 The paintings, mainly oils, include landscapes from the West Country and Sardinia, portraits and still life. They can be viewed free of charge from 9am-5pm Monday to Saturday (closed Sundays) from Monday 17th March until Friday 11th April. “We've worked together on mural projects many times and we often talk about what we've got on our easels so, recently, because of our long association since art school, we thought it would be a good idea to put together a joint exhibition,” explains Brian King. Both artists studied fine art at Bournemouth & Poole College of Art in the 1980s. Andrew's main focus at art school was in the life room and it was there that the importance of good draughtsmanship was learnt. After leaving college he spent a number of years teaching life drawing to supplement his painting, at the same time branching out into mural and trompe-l'oeil painting on a commercial basis which he still does to this day. His painting is about colour and light in the natural world and his interpretation of that world, whether in portraiture, landscape or still-life. His work constantly draws him back to the west country where he was born. 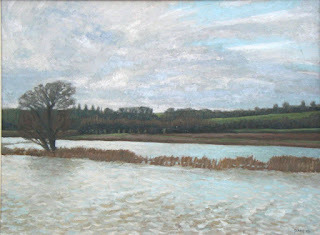 Recently he has been working in Somerset attempting to capture the particular light, essence and geography of the area. 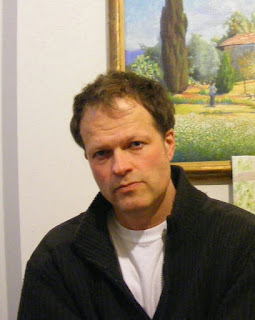 He takes commissions for portraits, landscapes, murals and trompe-l'oeil, recent examples of which can be seen in the Rex cinema, Berkhamsted. Brian spent 4 years at art school in the 80s and then a similar amount of time training as an actor in the 90s. Income was coming mainly from decorative paint effects and the occasional mural. For a variety of reasons, none of them particularly good, his easel had stood relatively undisturbed for several years until he met Maria-Teresa, his Sardinian fiancée, who encouraged him to get back to it. He has since spent a lot of time in Sardinia and this beautiful island has inspired much of his recent work. The figures that appear in his landscapes have all played some part in his life out there. This is also true of any dogs, sheep and geese on show. 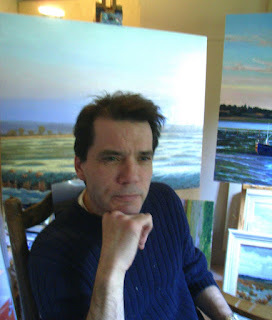 He paints mainly in oils and accepts commissions for portraits, landscapes and murals. Clearwater, Florida and London, United Kingdom: Software Shelf, the worldwide software leader in Windows Print Management solutions, today announced the newest version of its award-winning flagship product, Print Manager Plus 2008. Print Manager Plus 2008 includes the industry’s first native Active Directory integration and compatibility with Windows Server 2008, and all previous Windows Operating systems. The 2008 version continues its distinction as the only product in the industry to offer complete support for every printer and plotter manufacturer on the market. Despite the wide availability of paperless office solutions, today’s businesses typically spend from 3 to 5 percent of revenues on printing-related infrastructure and consumables. Without the need for outside services or complex new software, Print Manager Plus makes printing efficient, increases cost savings while lowering IT resource requirements. As a software-only solution, Print Manager Plus 2008 is available at a fraction of what you pay for similar IT products on the market. With the new native Active Directory integration, the solution offers customers a completely integrated platform to control, audit and precisely manage their entire printing environment with unsurpassed speed, security and efficiency. From the individual IT manager to the CFO, Print Manager Plus is packed with extensive new reporting features, including over 150 new built-in reports, enabling printing to be tracked and controlled at any level of granularity. New security-related features in the 2008 version enable easy compliance to regulations such as HIPAA security rules and similar rules of UK and European Data Protection regulations, as well as Sarbanes Oxley in the US. Print Manager Plus is a Green product featured recently by GuideMeGreen as software that is saving 150,000 trees every month through the paper savings it achieves for its customers. 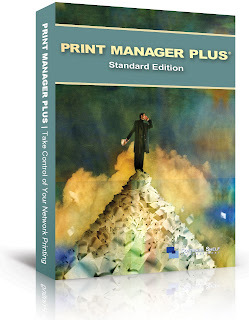 Software Shelf is formally introducing Print Manager Plus 2008 through its reseller and distributor network in over 60 countries today including release of the upgrade version to all its current Print Manager Plus customers under maintenance. Software Shelf is the worldwide leader in tightly integrated Windows Print Management solutions. Established in 1994, its flagship product, Print Manager Plus, is used by thousands of organizations worldwide. The company provides tech support (in 13 languages) from its offices in the US and UK and from its more than 150 partners and resellers in over 60 countries. Software Shelf was awarded the Hewlett-Packard Outstanding Partner of the Year Award in 2007. San Francisco, California and London, United Kingdom: Software Shelf, developer of File-Rescue Plus software, today announced that Consumers Digest, a leading publication in judging the best products and best-priced solutions on the market, has awarded its file recovery software, File-Rescue Plus, a 'Best Buy' recognition for excellence in quality and price. A photo of the award and a review of File-Rescue Plus appears in the April 2008 edition of Consumers Digest, now on newsstands as of March 2nd. 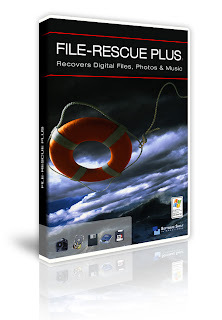 File-Rescue Plus software works on all Windows Operating Systems. It allows the user to undelete any kind of file, lost due to inadvertent deleting or virus attacks from their computer, external drive or camera. Consumer Digest editors write, “A Consumers Digest Best Buy is defined as a product that offers the most value for a given amount of money. That doesn’t mean it is the least expensive product in its category, nor does it mean it is the best-known brand. A Consumers Digest Best Buy is a nationally available product identified as one that merits special attention from consumers, based on its combination of performance, ease-of-use, features, durability, warranty, efficiency, styling, and maintenance and servicing requirements. File-Rescue Plus includes a 'shredder' for extreme security. This is the Clean Free Disk Space Option allowing one to securely wipe all free disk space or deleted files on the computer. The software also includes a Live Electronic Update Option to automatically download the latest updates and upgrades in seconds at the click of a button. Customer comments include: "I purchased and downloaded your File-Rescue Plus program because I was pretty desperate to recover about 100 great photos I accidentally erased from my camera by mistakenly pushing the "erase" function. The program worked perfectly, restored almost all the pictures immediately on the first try, and I was delighted (and relieved).” —SW. “I recovered almost 8000 files yesterday off of two drives which had (we think) been maliciously deleted. Nice tool you have there." —MAM. Software Shelf is a Microsoft Certified Partner and works closely with Microsoft to ensure the technology is thoroughly tested and obtains Microsoft Logo Certification. Software Shelf award-winning Tech support is provided worldwide in 13 languages. Software Shelf and File-Rescue Plus are trademarks owned by Software Shelf worldwide. London: Caren Downie, Topshop’s former Buying Director, has been confirmed as joining online fashion retailer ASOS.com in a newly created role as Buying Director of Womenswear. Having worked alongside Jane Shepherdson at Topshop for 9 years, Downie was influential in helping shape the success of Topshop’s fashion iniatives including the brand’s successful New Generation partnership with London Fashion Week. With her remit including overseeing the labels in-house fashion and accessories collections and expanding brands offer, Downie will also be increasing the depth and diversity of the fashion offer and drive new creative projects and partnerships. Downie said,"This is a hugely exciting role. ASOS.com has proved itself to be a very successful online retailer with fantastic sales results and an impressive growth rate. My previous experiences will fit well with such a brand as fast fashion is only getting faster and an internet model is a perfect environment in which to showcase this." Robert Bready, ASOS.com Product & Trading Director added, "We are delighted to have secured such a dynamic and well respected Buying Director. I’m confident Caren will bring a wealth of experience and dynamic fashion edge to ASOS.com, which overlaid with our current retail success puts us in a very strong position for the future."